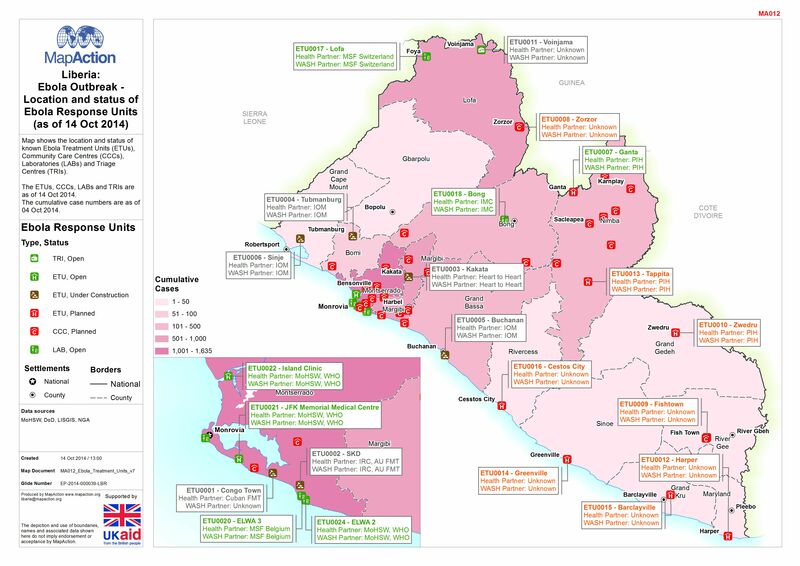 Map shows the location and status of known Ebola Treatment Units (ETUs), Community Care Centres (CCCs), Laboratories (LABs) and Triage Centres (TRIs). The ETUs, CCCs, LABs and TRIs are as of 14 Oct 2014. The cumulative case numbers are as of 04 Oct 2014.